5 Reasons to Visit Fredericton’s Newest Performance Venue this Season. Last season Theatre New Brunswick introduced a new performance space to the province’s cultural landscape. Initially referred to. 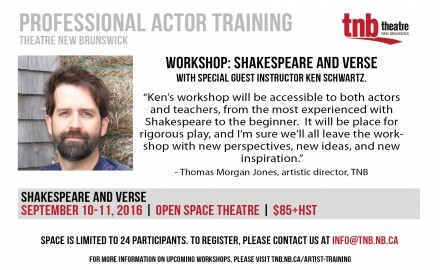 Shakespeare and Verse | September 10 – 11, 2016 | Instructor: Ken Schwartz (Fredericton) Theatre New Brunswick is.